I've been into model railroading for most of my life, though my modeling work has suffered due to work, family, and the research and writing projects. I started building models based on McCloud River prototypes from the time I learned how to kitbash. I submitted this story about a couple models I built based on McCloud's pair of sand cars to RMC's monthly kitbashing award contest, and it got picked up and printed in this issue. As things so often turn out subsequent research showed I got a few details on the roster information on the sand cars wrong. This was also the first time I got paid for my writing, $100 and a Dremel tool. One of my award winning sand car models! 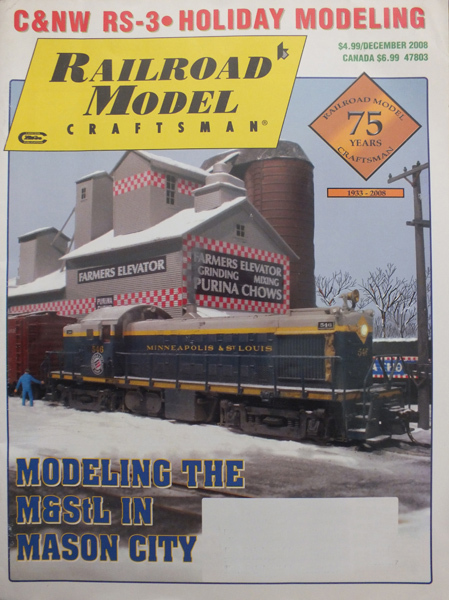 Railroad Model Craftsman changed publishers a few years back, and as such back issues going back this far are not available directly through the magazine. Anyone interested in this issue should check Railpub or some other back issue dealer.